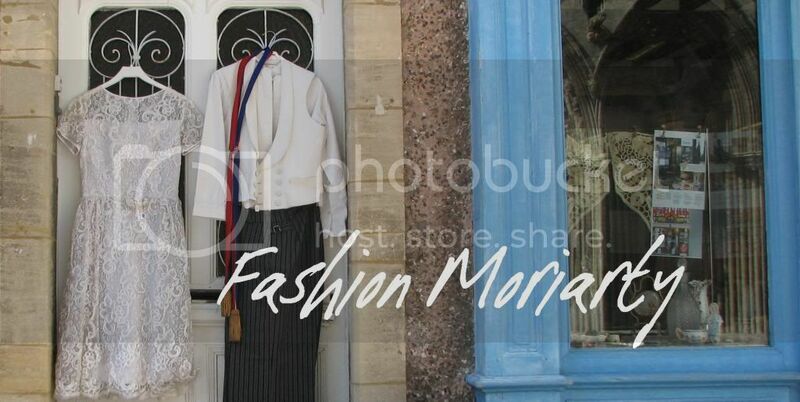 Fashion Moriarty: Is fashion journalism a "closed shop for the elite"? Very clever article. I couldn't agree more with your point of view. Few weeks ago I stumbled upon a video of the fashion stylist Giovanna Battaglia who was telling about her career and how all this happened. She was a model for D&G at 16 and then started doing fashion styling thanks to Anna dello Russo and Franca Sozzani. Eventhough it wasn't said in the video it is obvious that her background did help her, her mother being a model, she must have had some connections in the fashion industry but this part was obviously not mentioned. I believe that in industries like fashion or business you cannot avoid nepotism but at the same time I also believe that people who haven't the background of Giovanna Battaglia can make it because of their determination, cleverness AND a LOT of luck, by that I mean being at the right place at the right moment. Nonetheless I also believe that in the end certain positions are given to people seeing how hard working they are, I mean to be recommended by someone, when you are not belonging to a wealthy family, you need to be noticed and this means hard work is still what stands out. Good luck to you in your journey to become a fashion journalist ! This was a really interesting post - and touches on so many important issues, across lots of industries I think, unfortunately. I do think that if someone really really wants to be a fashion journalist that we are lucky enough to live in a country where if they work hard enough and make enough sacrifices they will get where they want to be. It'll just be a lot harder than someone from a 'connected' wealthy family, which is really unfair. I'm not sure what the answer is though but at the moment - especially with the large levels of unemployment - it depressingly feels like it is getting worse. Blogging, at least, is one way other voices and viewpoints can reach a lot of people and I'm sure has a part to play in shifting these attitudes. The fashion industry has kinda been breaking my heart ever since I decided that I wanted to be a part of it. However, as with any career move in life, it is definitely all about the connection and how wide of a network you have. Friends with influential? You're definitely in. I've seen this happen so many times that it sometimes causes me to be disillusioned by the industry. We can constantly say that it's just not right but that's just the way it is. Nonetheless, definitely agree that unpaid internships should be removed, they do not help any cause at all except of the rich, who basically can afford to live with an unpaid internship. And when experience + connections is all that matters in this industry, an internship is pretty vital. So, while I think this industry is difficult to crack, it would be a thrill once cracked and yes you should continue to work hard at it and become the journalist you want to be. This is indeed a very compelling article. I find it doubly-interesting as I am an American living in the UK, so the educational and class aspect is perhaps slightly different to what it is back home, although the "elitism" is certainly there as well. I think nepotism, as you say, plays the bigger role, especially in the US, where there is a lesser emphasis on the double-barrelledness of one's name (not for lack of trying on the part of the self-proclaimed elite, though). There is a similar theme when you look at the jobs of the sons and daughters of the elite. Contributing editor at a fashion magazine, gallerist, etc. Basically, when starting out you need to be able to pass the"coolness test" (who is the arbiter of that, I wonder) and afford to be able to work for free as a intern. Who can do that but a deleted few? honestly there are very few articles i have come across which are this long with no pictures but so compelling. you, my dear can write. and you deserve to be a journalist. i am a film student and this same worry eats me away. i look around and everyone who ever did an unpaid internship, be it with a stylist or publishing house or media house, was able to do so because of wealthy parents who could support them, whoever did work on films all due to connections, parents' friends mostly.